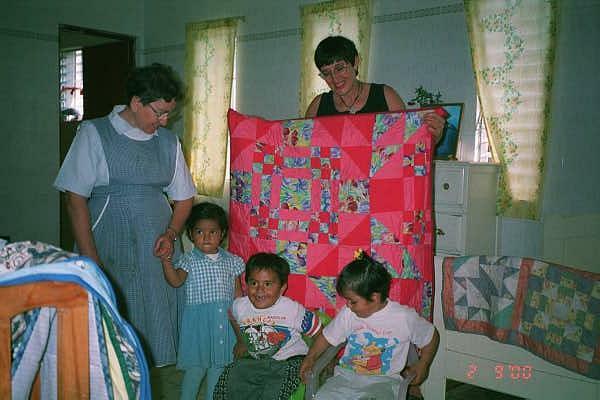 These pictures were taken in February 2000 when some of our quilts were delivered to some little angels in Mexico. Nancy is on the right. 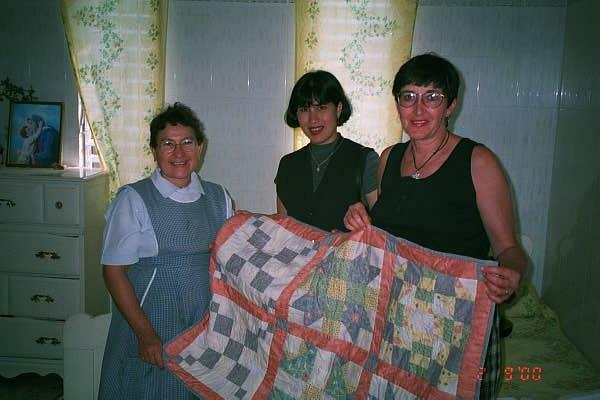 She is the one who was kind enough to take the quilts to Mexico for us. She was visiting her friend who lives in Mexico. She is in the center. 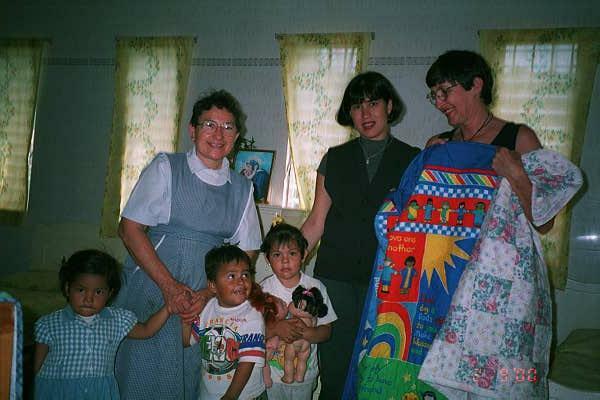 The lady on the left in the light blue, is the matron at the orphanage who cared for the children in that section. They are enjoying looking at all of the beautiful quilts! 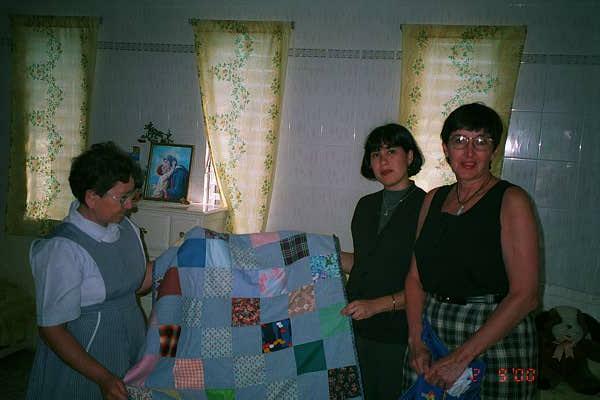 The ladies are admiring another quilt. These three little cuties came in to see what was happening! Look at the little boy flirting with Nancy! More quilts for everyone to see. Nancy said that these three little children all had the most sparkling eyes. They were all friendly and loved to smile and laugh. 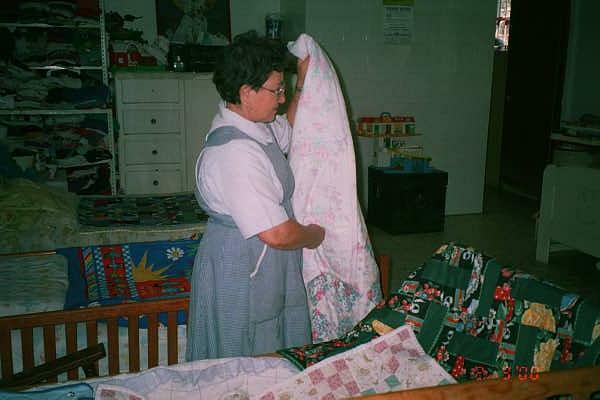 The matron immediately put the quilts all onto the little beds. You can see in the background of this picture how they have clothes that are shared by many children stacked onto shelves. 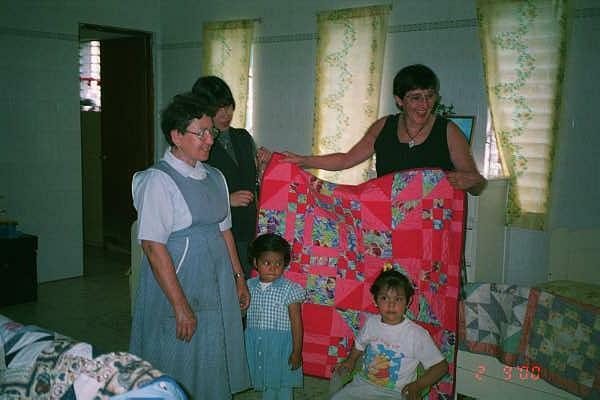 The director of the orphanage sent a very nice hand written letter to say thank you for the quilts.